Plastic is everywhere, and as we highlighted in a recent article, there are many different varieties. These different polymers are used for everything from food packaging to medical devices, electronics, toys and automobiles. However, it's not as if each plastic only has one specific form or function. Each variety of polymer can be used for a wide range of applications, but few plastics are used for as many radically different products as polystyrene. Polystyrene, otherwise known as polyphenylethene, is one of the most common plastics in the world. So what makes this such a desirable polymer? One word: adaptability. The physical properties of polystyrene can be adjusted with various techniques to make it better suited for a wide range of everyday uses. For example, most people are familiar with CD cases, which are made out of solid polystyrene. These clear plastic cases are notoriously brittle and usually shatter if they are dropped. Therefore, it may come as a surprise that the same type of plastic can be modified to make things like car parts, dental equipment, drinking cups, and kitchen utensils. In an interview, Jim Rancourt, founder and CEO of Polymer Solutions, explained that polymer structure is a balancing act between form and function. Some plastics contribute mechanical properties like rigidity, flexibility, or transparency. Others can improve chemical attributes such as resistance to heat or UV radiation. By combining different polymers with synergistic qualities, engineers can create novel plastics with all kinds of different attributes, which can be used for various purposes. It's like cooking with plastics. In the culinary world, chefs have to balance flavor with structure, appearance, and nutritional value. To follow the metaphor, polystyrene is the flour of the plastics world – it acts as a binding and structural agent for other performance-enhancing components. According to The Essential Chemical Industry, a non-profit website run by The University of York, it's possible to take regular old brittle polystyrene, the same stuff used for CD cases, and turn it into high impact polystyrene (HIPS). This is done by polymerizing styrene containing 5 to 10 percent dissolved polybutadiene rubber, a process which is accomplished via continuous thermal mass polymerization. This requires a significant amount of heat to kickstart the polymerization reaction, and it makes for an extremely tough, opaque polymer with what is known as an atactic structure. HIPS is commonly used in electronics like AV equipment, but it is also used by the food services industry for hot and cold drinking cups and by the automotive industry for gasoline tanks. "Polymer Structure is a balancing act between form and function." In most cases, atactic structures are almost entirely random, so an additional modification is required in order to form the polymer into products that need more control and precision. Specifically, engineers use metallocene catalysts to create stereoregular or syndiotactic structures. The end result is a syndiotactic polymer that has yet further improved thermal and mechanical properties, which means it can be sterilized with high heat without compromising its structural integrity. Therefore, SPS is ideal for applicationslike surgical instruments and dental equipment. Going back to the drawing board, polystyrene also serves as the base component in styrene-acrylonitrile (SAN), a copolymer of styrene and acrylonitrile, sometimes known as propenenitrile. By polymerizing these two monomers together, it is possible to make a plastic that is less flexible than raw polystyrene, but it is more transparent and significantly more resistant to heat and a host of different chemicals. SAN is most commonly used in car headlamps, cassette covers, syringes, and even high quality kitchen appliances like blenders. Yet another modification to polystyrene can be accomplished by blending styrene with acrylonitrile in the presence of butadiene to create ABS plastics, an acronym for acrylonitrile, butadiene and styrene. In this configuration, the acrylonitrile contributes strength, the butadiene adds flexibility and the styrene gives it hardness. ABS is significantly tougher than polystyrene, but it is also scratchproof and resistant to a broad range of chemicals. If you have a plastic product that is going to be exposed to frequent wear and tear, ABS is a good choice. As such, it is used for things like motorcycle and bike helmets as well as fairing for motorcycles and durable electronics. 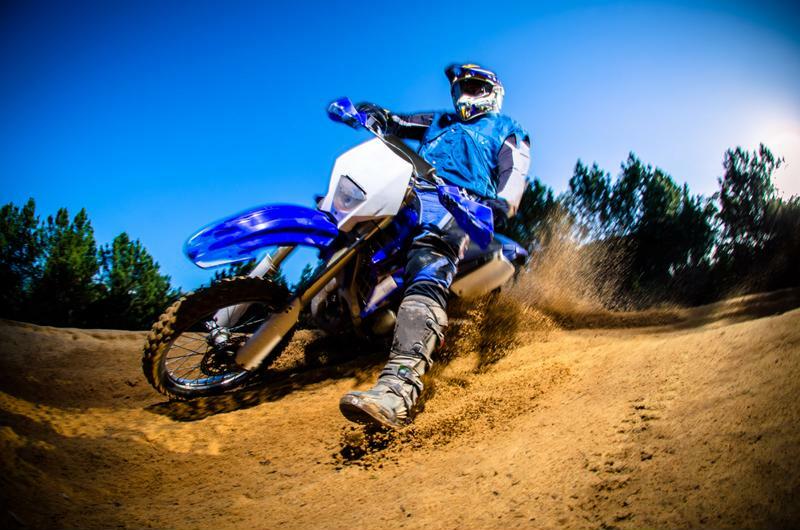 Many motorcycle components are made out of ABS, a polystyrene-based copolymer. Polystyrene is not only modified by blending it with other plastics, this versatile polymer can also be puffed with air in different ratios to create what is commonly referred to as Styrofoam. By fluffing polystyrene with more or less air, different material properties can be manifested. For instance, a very high air to plastic ratio results in extremely light, fluffy Styrofoam that is good for applications like shipping peanuts, while a lower ratio makes for good heat-retaining beverage cups for coffee or tea. An even lower air to plastic ratio will produce a denser Styrofoam that can be used for disposable coolers or insulation, due to the polymer's ability to mitigate heat transfer. All of these different blends and treatments result in different materials that are radically different from the pure form of polystyrene, and it seems likely that even more techniques will be pioneered as chemists and material scientists continue to experiment with this amazing polymer. For now, if anyone ever asks you what bike helmets, blenders, headlamps, tape decks, packing peanuts and party coolers have in common, you will know that they are all likely based on the same material, polystyrene.